This egg-free recipe is sure to be a favourite. This one is nostalgic, and definitely brings back some good memories. Nuggets and fries was always a weekend treat. Well you don't have to be a kid to enjoy this recipe! 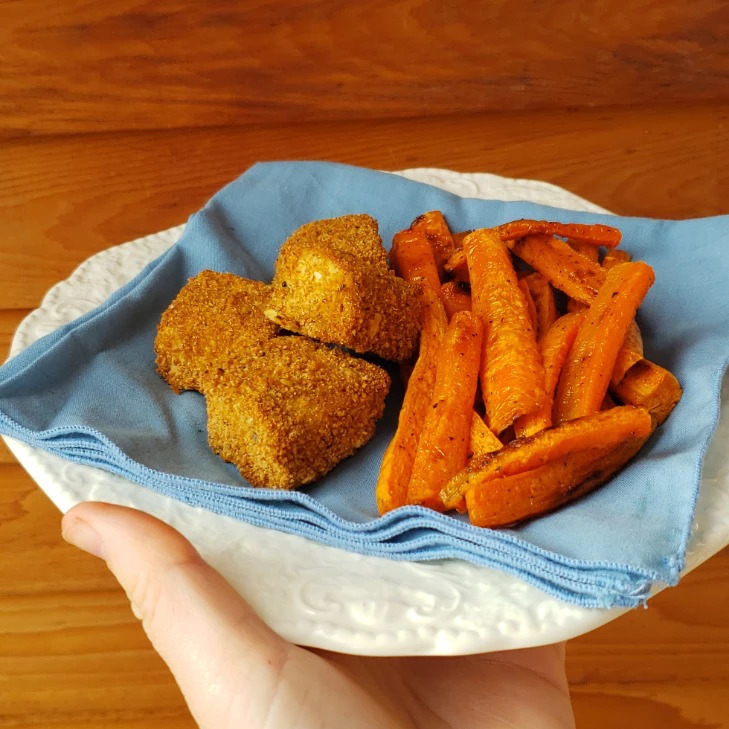 These tofu nuggets are SO crispy and flavorful, it's hard to believe they are baked! We paired these with a homemade vegan ranch sauce and some thai chili sauce. Easy, quick, Saturday night supper. Whisk up Eggcitables “eggs” in one bowl. 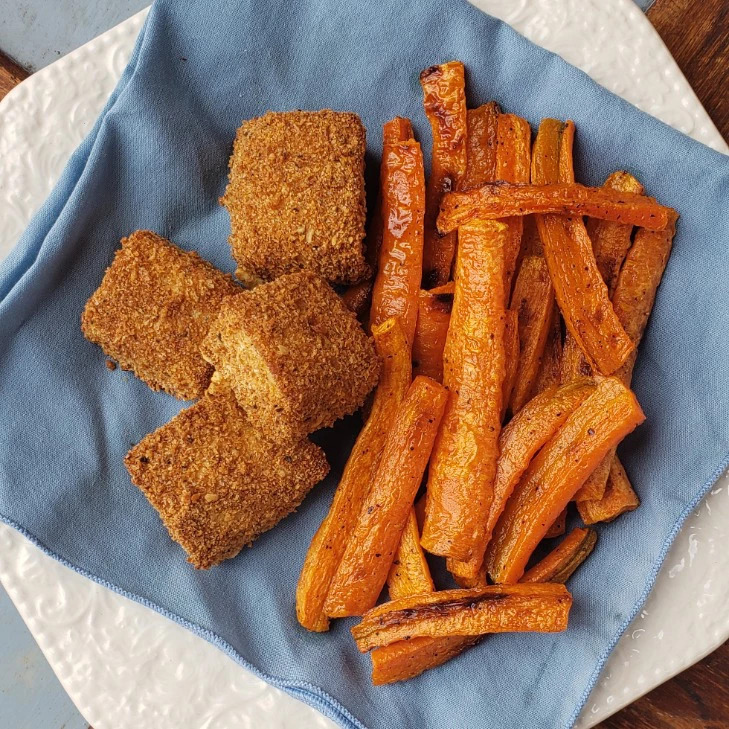 Combine bread crumbs and spices in another. Using a fork, dip cubed tofu in Eggcitables egg and drip off excess. Then dip tofu in crumb mixture until completely covered. Repeat this step until all pieces are covered. Bake on a parchment covered baking sheet for 25-30 mins, flipping halfway until crispy. Serve with your favourite dipping sauce. In a large metal bowl, combine carrots, olive oil and salt. Stir until thoroughly mixed. Place on a baking sheet (with or without parchment) and bake for 15 minutes, turning halfway.